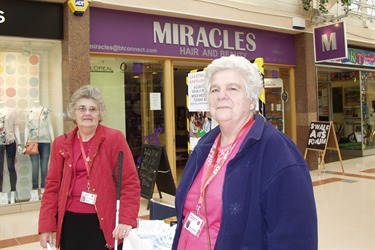 We are a registered charity providing comprehensive support services for people with sight impairments in the Sittingbourne area under the unbella of Kent Association for the Blind. We are a social club for visually impaired people who meet every week on a Tuesday at the Mansonic Hall in Albany Road, providing entertainment and outings. A subscription charge of £1.50 per week is made. Our meetings run from 10:00am to 4:00pm and you can always get more information by contacting Mrs Ann Caveney on 01795 475727 or Mr Michael Goodwin on 01795 428448.